Strong, economical wiper is ideal for manufacturing, healthcare and transportation environments. Hydroknit fabric provides reinforced strength for wet or dry light-duty tasks. White. One-at-a-time, pop-up dispensing. 9.1 x 12.5 sheets. 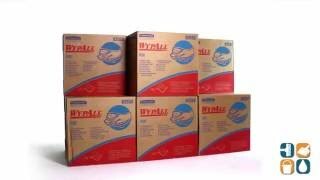 176 wipers per box; 10 boxes per Carton (1,760 wipers).